​Fact-checkers abide by a a Code of Principles. IFLA. 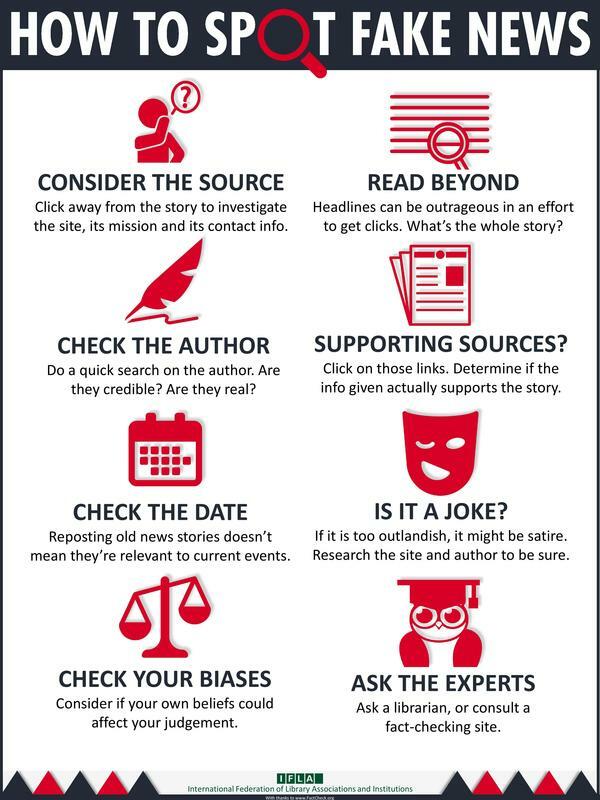 “How to Spot Fake News.” IFLA.org, 1 Feb. 2017, www.ifla.org/node/11175. “Information Literacy Competency Standards for Higher Education.” Association of College & Research Libraries (ACRL), American Library Association, 9 Aug. 2016, www.ala.org/acrl/standards/informationliteracycompetency. On The Media. 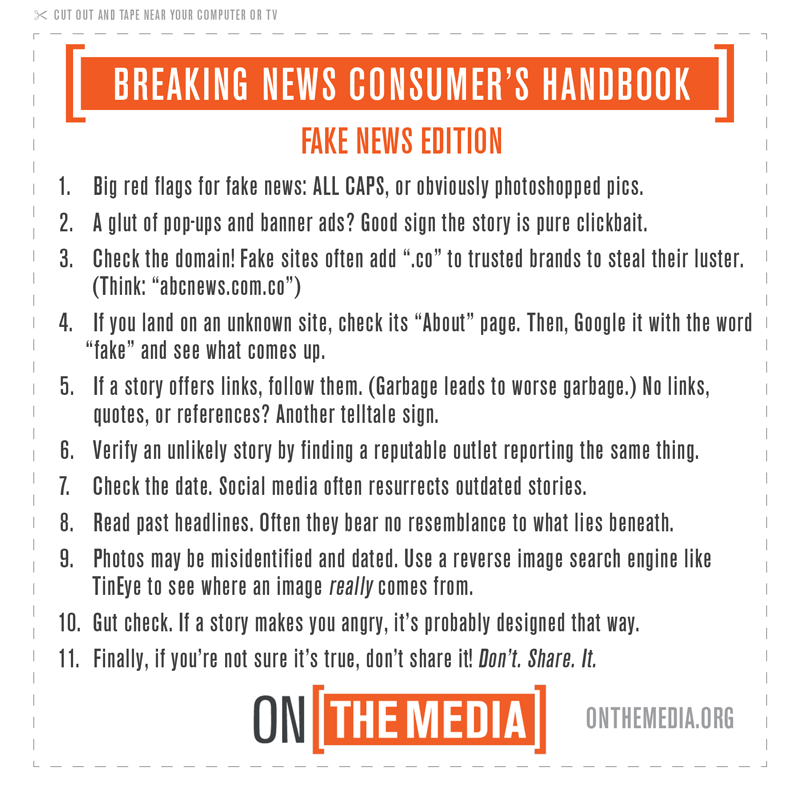 “Breaking News Consumer's Handbook: Fake News Edition.” On The Media, New York Public Radio, 18 Nov. 2016, www.wnyc.org/story/breaking-news-consumer-handbook-fake-news-edition/. 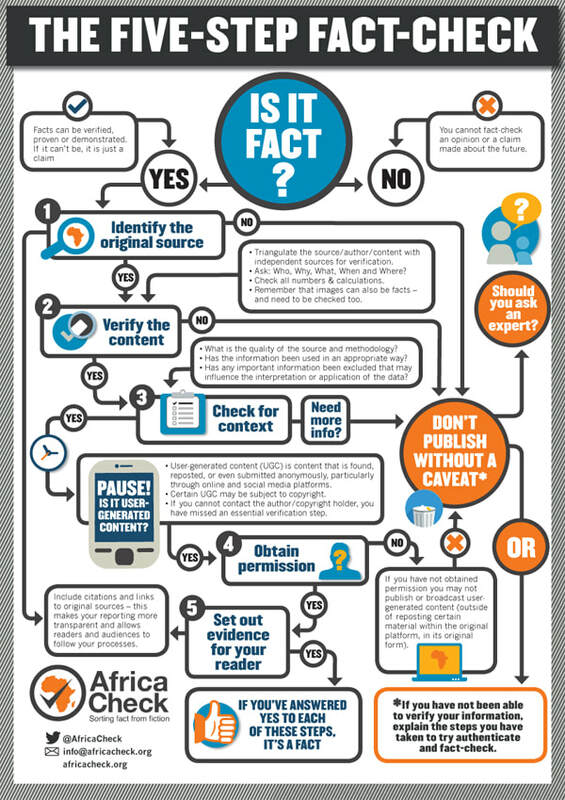 “Printable 5-Step Fact-Checking Poster.” Africa Check, africacheck.org/factsheets/guide-the-five-step-fact-check/.